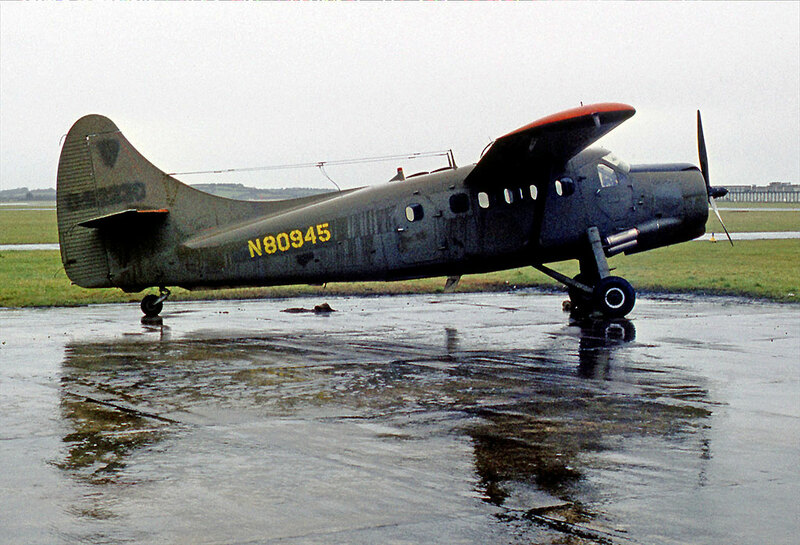 N80945 at Shannon - EINN, Ireland. C-FDNK visits Toronto Island seaplane dock. C-GVTO (2) at Viking's Victoria facilities. • 59-2230 United States Army. Delivered-22-Aug-1960. Designated as U-1A. Apr-1961 Transported to Wheelus Air Base, Tripoli where it was re-assembled. Its first operating unit was the 572nd Engineer Platoon, flown as a survey aircraft on mapping duties in Libya and later in Iran. Apr-1969. Coleman Barracks, Mannheim, Germany for overhaul. Aug-1969. Assigned to the 56th Aviation Detachment, Coleman Barracks, Mannheim, Germany. Aug-1971. Placed into storage at Coleman Barracks and put up for disposal. • N80945 Ferrer Aviation Inc., Miami, FL. Note: Converted to civilian aircraft by St. Louis Aviation Inc., St. Jean,QC. • CF-DNK White River Air Services Ltd., White River, ON. Date unknown. • C-FDNK Re regd to White River Air Services Ltd., White River, ON. Date unknown. • C-FDNK Kipawa Air Service Inc., Kipawa, QC. Regd June 1975. • C-FDNK Re-named Air Kipawa Inc. Regd 12-June-1975 Canx 17-Aug-1989. • C-FDNK Poss lease to Air North Bay Inc., North Bay, ON. Regd 31-Jan-1990- Canx 14-Aug-1990. • C-FDNK Air Kipawa Inc., Kipawa, QC. Regd 14-Aug-1990. Canx 17-Nov-2004. • C-FDNK Viking Air Ltd., Sidney, BC. Regd 26-Nov-2004. 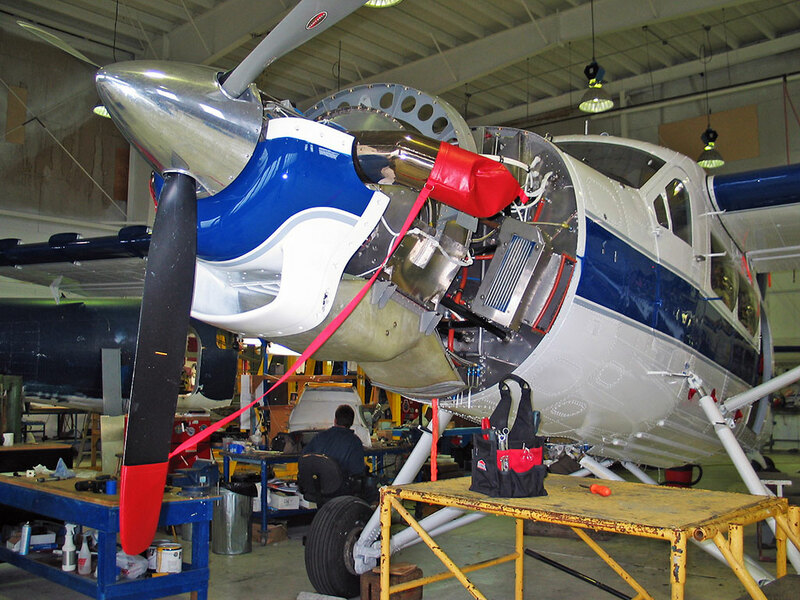 Power-plant: During Dec-2004 it commenced conversion to Viking Turbo Otter configuration with a PT6A-35 engine. Note. Mar-2007. Advertised as a Viking Turbo Otter with new PT6A-35 engine, Hartzell three-blade prop, Panaview windows, 15 seats, Seaflight 8100 floats, new 21 paint and interior, with an asking price of $1,350,000. • C-GVTO Viking Air Ltd., Sidney, BC. Regd 08-Apr-2015. 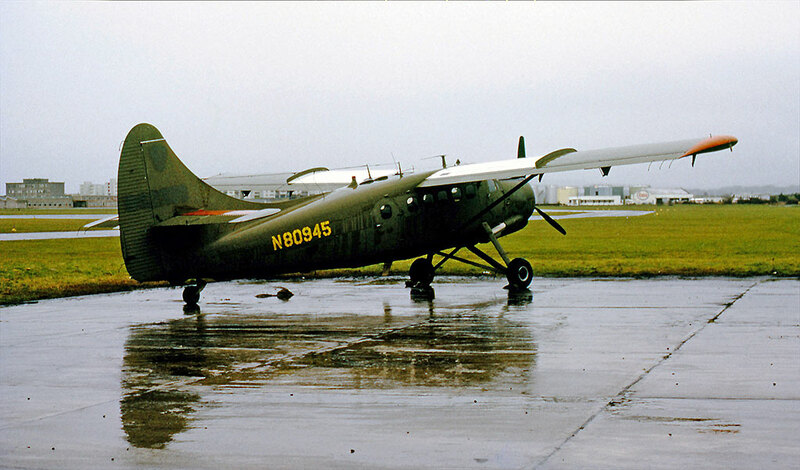 Otter 385 was delivered to the United States Army on 22nd August 1960 with serial 59-2230 (tail number 92230). 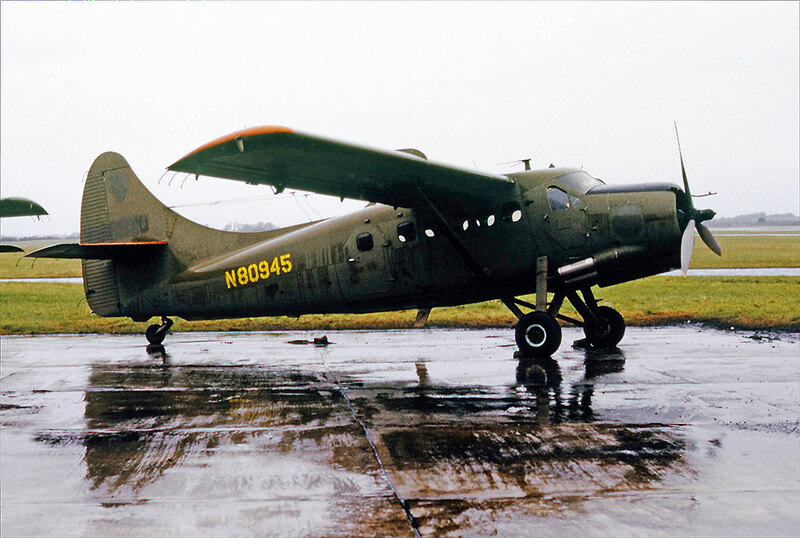 Its initial unit allocation is unknown but by January 1962 it was serving with the Army's 572nd Engineer Platoon, flown as a survey aircraft on mapping duties in Libya and later in Iran. It was painted in the white/red colour scheme used by topographical aircraft. It continued to fly for this unit until April 1969 when it arrived at Coleman Barracks, Mannheim, Germany for overhaul. It was re-painted into the olive drab colour scheme and in August '69 was assigned to the 56th Aviation Detachment at Coleman Barracks, and flew for this unit until August 1971, when it was placed into storage at Coleman Barracks and put up for disposal. 92230 was one of eight Army Otters, all in storage at Coleman Barracks, which were put up for sale by Sealed Bid Tender with a closing date of 29th December 1971. The successful bidder for all eight Otters was Ferrer Aviation Inc of Miami. The total price for all eight aircraft was $303,640 of which $39,680 was the price for 92230, which had 3,177 hours on the airframe at the time of sale. 92230 was allocated marks N80945 for Ferrer Aviation, who contracted ferry company Air Convoy to fly the eight Otters to Canada. All followed the same route, two at a time. In company with N80939 (141), N80945 was ferried from Coleman Barracks via Saarbrucken, Germany to Ashford in Kent and on to Shannon, Ireland, arriving Shannon on 7th March 1972. At Shannon, ferry tanks were installed by SRS Aviation, after which the two Otters set off for the long Atlantic crossing, first stop Reykjavik, Iceland. 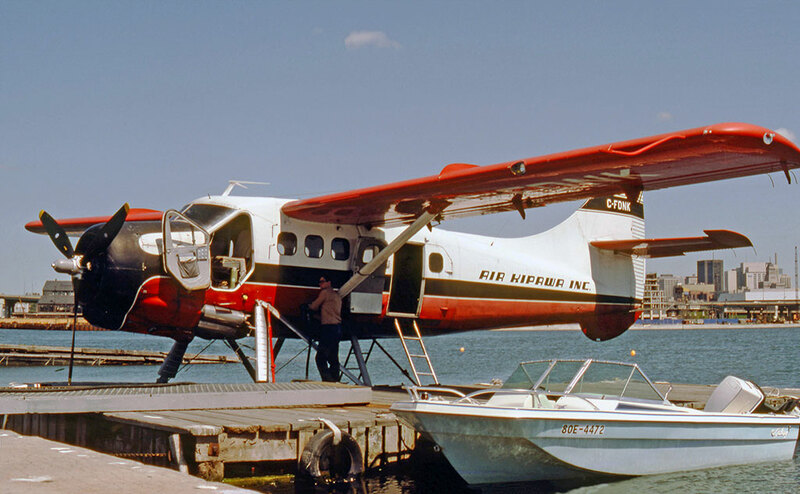 The Otters were flown to St.Jean Airport, Québec where they were converted to civilian aircraft by St.Louis Aviation Inc. 385 was then sold to White River Air Services Ltd., of White River, Ontario registered CF-DNK, later re-registered C-FDNK. In June 1975 it was sold to Kipawa Air Service Inc., of Kipawa, Québec which was later re-named Air Kipawa Inc. The Otter was used on charter work throughout the Province of Quebec. Apart from fishing and hunting charters, it was also much used in the north by Québec Hydro and Societe d'Energie de la Baie James. By June 1980 it had flown 8,122 hours. One incident was recorded, on 25th September 1988 when the Otter was flying on behalf of Cargair, twenty four miles north-west of Schefferville. DNK made a forced landing due to engine trouble. The pilot found that he could not maintain a sufficient rate of climb in a turn and had to put the aircraft down. 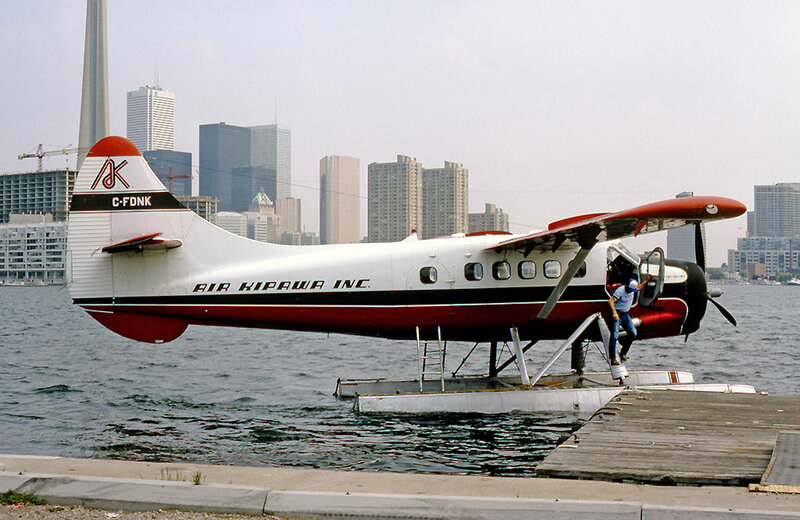 Between August 1989 and August 1990 the Otter was operated by and registered to Air North Bay Inc., of North Bay, Ontario before reverting to Air Kipawa Inc. The Otter continued in operation with Air Kipawa until the end of the summer 2004 season, and was then sold. As the Air Kipawa website sadly explained: “Otter DNK leaves the Kipawa base dock for the last time. The aircraft has been sold to Viking Air where it will be completely torn-down and retrofitted with a turbine engine and many other amenities. DNK has been with the company for nearly thirty years and has flown thousands of hours and carried countless numbers of people totheir favourite fishing and hunting spots”. The Otter departed Kipawa on 13th October 2004, making its first stop at Sioux Lookout, Ontario on the long trek to the West Coast. It was re-registered to Viking Air Ltd., of Victoria, BC on 26th November 2004. 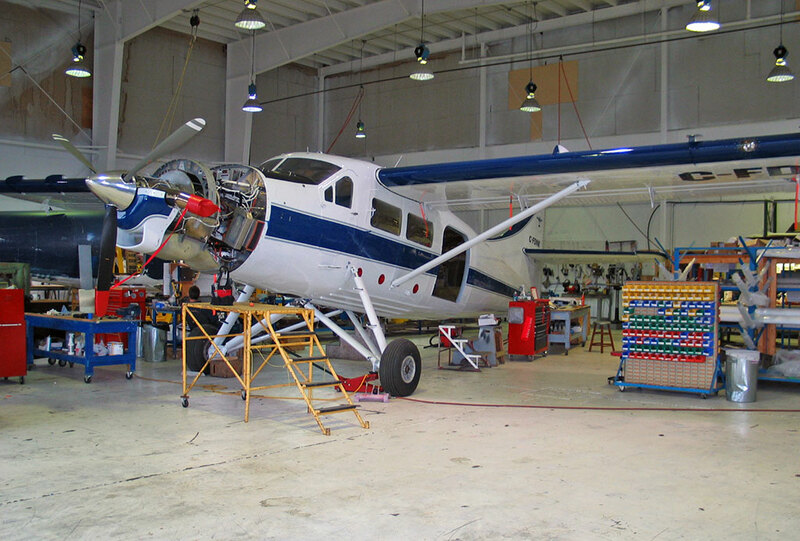 During December 2004 it commenced conversion to Viking Turbo Otter configuration with a PT6A-35 engine. In March 2007 the Otter was advertised for sale by Viking Air, located at Victoria, BC. It was advertised as a Viking Turbo Otter with new PT6A-35 engine, Hartzell three-blade prop, Panaview windows, 15 seats, Seaflight 8100 floats, new 21 paint and interior, with an asking price of $1,350,000. Total time was 18,151 hours. By August 2007 it had been withdrawn from sale and was then on offer for lease, at an hourly rate of $275 per flight hour plus engine reserve of $55 per flight hour, with a minimum lease of 700 hours. Some additional historical information is now available. The Otter was delivered to the US Army on 22 August 1960 as tail number 92230 and having been fitted with radios suitable for an overseas deployment, was shipped to Libya where it arrived at Wheelus Air Base, Tripoli in April 1961, where it was re-assembled. Its first operating unit was the 572nd Engineer Platoon, as described on the CD. It spent all its service life with the US Army based in Libya and Iran and finally Germany before being sold surplus as N80945 and returned to Canada where it flew as C-FDNK, again as described on the CD. C-FDNK. The Otter was converted by Viking Air with a PT-6A-35 and made its first flight from Victoria, BC as a turbine Otter in July 2005. It finished its flight test programme prior to Christmas 2005 and during 2006 was awaiting final official certification of the Viking Turbo Otter conversion. DNK is now registered C-GVTO to Viking Air and as mentioned above is their turbine engine conversion. The VTO stands for Viking Turbo Otter. It is the second use of this registration, which was previously on 393. The current C-GVTO, 385, has been sitting at Victoria for years, and up to a few months ago was advertised on the Viking website as for sale or lease, but it has been that for years and seemingly there are no takers.